This is MissImp's introduction to the fundamentals of improvised comedy theatre! Over the course of the weekend, you will focus on the different techniques that make up an improvisers tool-belt - from active listening and co-operating with teammates, to the basics of stagecraft and the fabled yes, and, all the while building confidence and having a whole lot of fun! 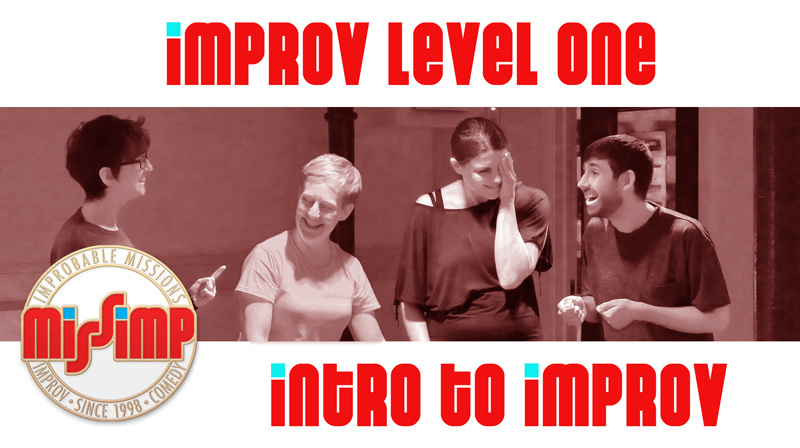 This course is perfect if you want to explore and pursue improv further, or if you just want to take a chance on learning something different! Not only will it give you the building blocks for for this wonderful growing artform, but you'll also develop transferrable skills like public speaking, listening, and social skills in a friendly, supportive environment. Scholarships are available – more info.